What types of documents need a professional process server? What address should documents be served at? Why shouldn't I serve them myself? It is always recommended that the documents above are served by a professional process server to ensure they are served on time and served correctly. Process Servers are completely independent to the proceedings. Therefore the proof of service provided by a Process Server will carry more weight than a statement made by an involved party. Serving a Court Order or Legal Papers in the UK can be a complicated process. There are many ways Court Orders can be served. 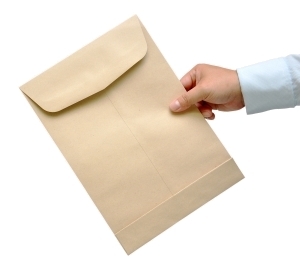 Some Orders or Papers can simply be letterboxed at the address while others require Personal Service only. Some types of papers can be letterboxed at the address but only after a set process is followed. If the service is not performed in accordance with the law, this can hinder your case from going forward or result in the dismissal of your case. To ensure the papers are served on time and served correctly it is recommended to use the service of a experienced Process Server. What evidence do I get that the documents were served? Once served the Process Server will usually provide you with either a Certificate of Service, a Statement of Service or a Sworn Affidavit confirming the date and time the documents were served and this is usually lodged with Court prior to the hearing. iJustice Limited makes every effort to ensure that the content is accurate and up-to-date. All details provided are for guidance only. We give no warranty and make no representation, expressed or implied, as to the truth of any information given on our website, nor are we liable in any circumstances for special, indirect or inconsequential loss of any damages whatsoever resulting from loss of use, loss of data, or loss or revenue or profits, whether in action of contract, negligence or otherwise, arising out of or in connection with your use of our website, its content or the purchase of services. By using this website you confirm that you have not relied on any such content.